Mike is a kindred spirit. He moved onto his boat after his marriage failed although his first floating home was far more of a challenge than mine… a 27ft GRP cruiser. His current 50′ widebeam must feel SO spacious after that! 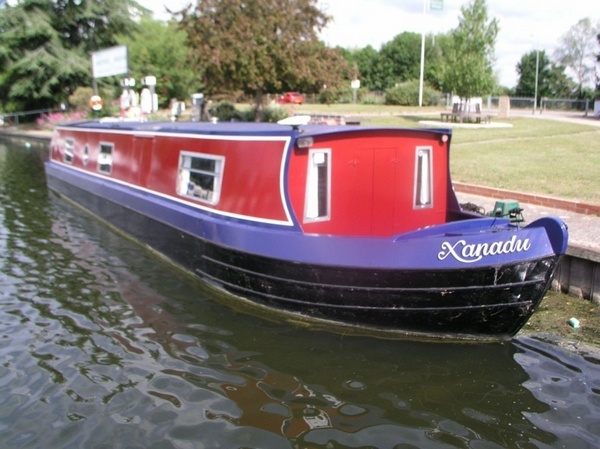 The boat is called Xanadu, it was already named and it seemed appropriate. I admit to being a bit of a fraud here now as it is a 50 foot all steel widebeam, but hey, what’s a widebeam but a stretched narrowboat?? Not withstanding the above confession I have owned it for just over 12 months. Cashed in all my sayings whilst I still had the chance!! Most of the time although I did spend September in Australia. I work as a Lead Internal Verifier at a local FE college (will be 65 next March so hope to retire then)! Freedom to move if I get fed up here! That’s a difficult one, it is an on-going project so couldn’t put my finger on one thing. No problem as I have a permanent mooring and a supermarket within a couple of miles. Again no problem as I have a washing machine. Now there’s a story! Up until a few months ago I had smart sea toilet. Great piece of kit until the foul water tank under my bed decided to leak in spectacular fashion! The carpet I had just fitted floated out the door closely followed by my socks and slippers. Fortunately for me, if you can call this fortunate, I had worked over 20 years in the water industry and had spent many a happy hour up to my armpits in the smelly stuff so I wasn’t too fazed by that side of the disaster. I spent the whole day mopping, cleaning and disinfecting before I could locate the problem. The tank had rusted through in the bottom corner and was beyond repair without some serious upheaval. I removed the toilet and put a porta potty in its place! I have a 3G PAYG sim in a dongle. The reception can be patchy and slow but it’s ok for emails and browsing the web but not much else. As I live on the Great Ouse and my cruiser is a widebeam I have only ever used the wide canals but I guess the section of the Trent that uses the Nottingham Canal is OK. I have access to mains electricity but also have a generator, a decent solar panel that keeps the batteries charged up, that is when the sun comes out, and an inverter. Whilst I use power for the washing machine, fridge and freezer plus all the other random equipment that has a plugtop on, I only need to feed the meter with a £5 card once a week! Mmm, can be rather cool! I don’t have a stove but rely on an Eberspacher feeding a conventional 5 radiator wet system. It’s ok at the weekends but it is not cheap to run or easy to keep the fuel tank full. 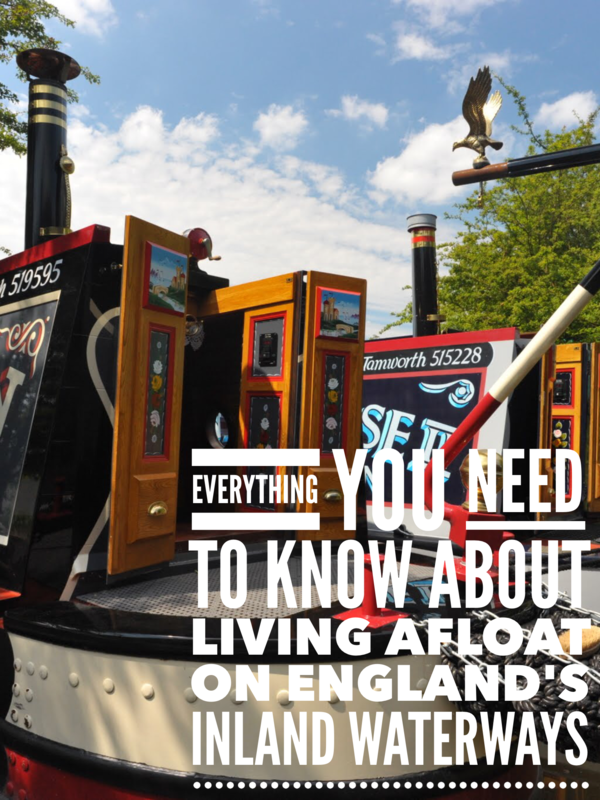 When I lived on the cruiser, during that bad winter a couple of years ago, the water pump, filter, shower and pipework froze and split during the night while I lay and shivered in bed! Buy the best you can, trying to carry out major refurbishments whilst living on board can be difficult. Also have a very good relationship with your partner, there aren’t many places to hide on a boat, whether it be narrow or wide! !